When nurse Nina Pham contracted the Ebola virus and was hospitalized for treatment last October, her canine companion, Bentley, came into the care of Dallas Animal Services. This presented the city with a rare situation in which a veterinary patient was also a potential source of a contagion, essentially a hazardous material, and veterinary staff had to take protective precautions far beyond their normal experience with personal protective equipment, or PPE. With no procedures in place to draw on for best practices, they called on the Texas A&M Engineering Extension Service (TEEX) and the Texas A&M Veterinary Emergency Team (TAMU VET) to provide some expert assistance. Dr. Debra Zoran and Dr. Wesley Bissett from TAMU VET supported the staff charged with Bentley’s medical monitoring. TEEX hazardous materials specialists Ron Batchelor and Lori Peace consulted with the veterinarians regarding safety, site assessment, procedures and best practices for handling potential contaminants, as well as providing decontamination support for the dog’s caregivers. Dallas Animal Services obtained a vacant officers’ quarters building at Hensley Field, a part of the Dallas Naval Air Station. Bentley took up residence in a back room that was draped with tarps and contained a crate filled with soft materials, toys and food. The veterinary staff made entry to Bentley’s room (the hot zone) several times each day to ensure his physical and psychological health. 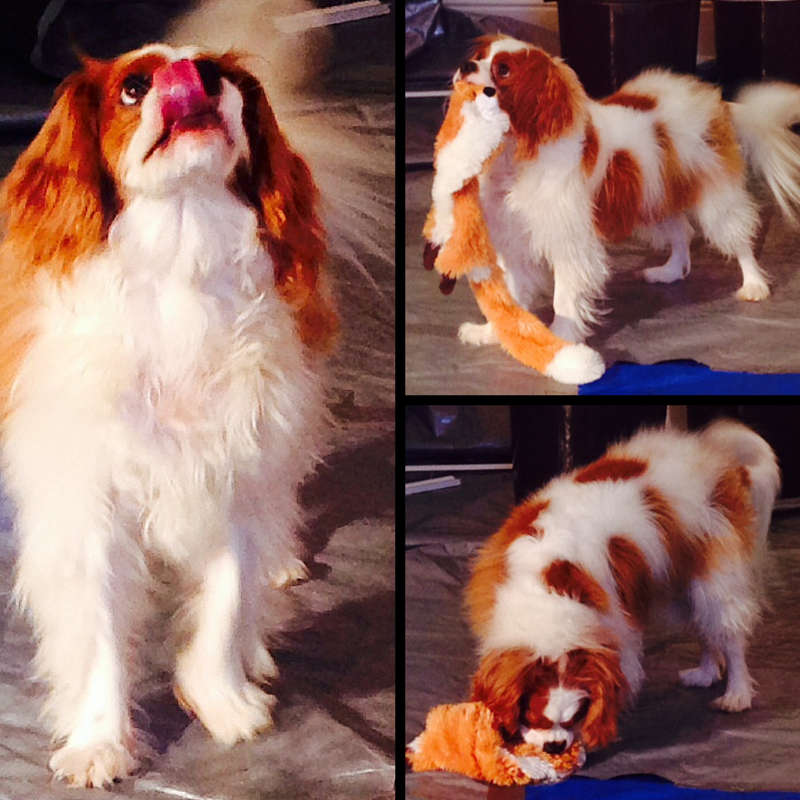 Throughout the quarantine, Bentley, a King Charles Spaniel, learned the daily routine and looked forward to his time engaging with the veterinarians. Playful and well-mannered, Bentley identified his favorite toys and kept them near. He remained pleasant and cooperative when blood samples were taken, making the veterinary medical care process very smooth. Caring for Bentley while wearing chemical protective suits and PAPRs (Powered Air Purifying Respirators) presented some challenges and adaptations in PPE for the veterinary staff. All activities were planned and double-checked prior to entry into Bentley’s quarters. To ensure the highest degree of safety, several additional measures were applied and a sound standard operating procedure (SOP) was developed regarding entry, management of waste, invasive care procedures, management of samples, and decontamination. After his 21-day quarantine, Bentley was pronounced Ebola-free and happily reunited with Nina in November. 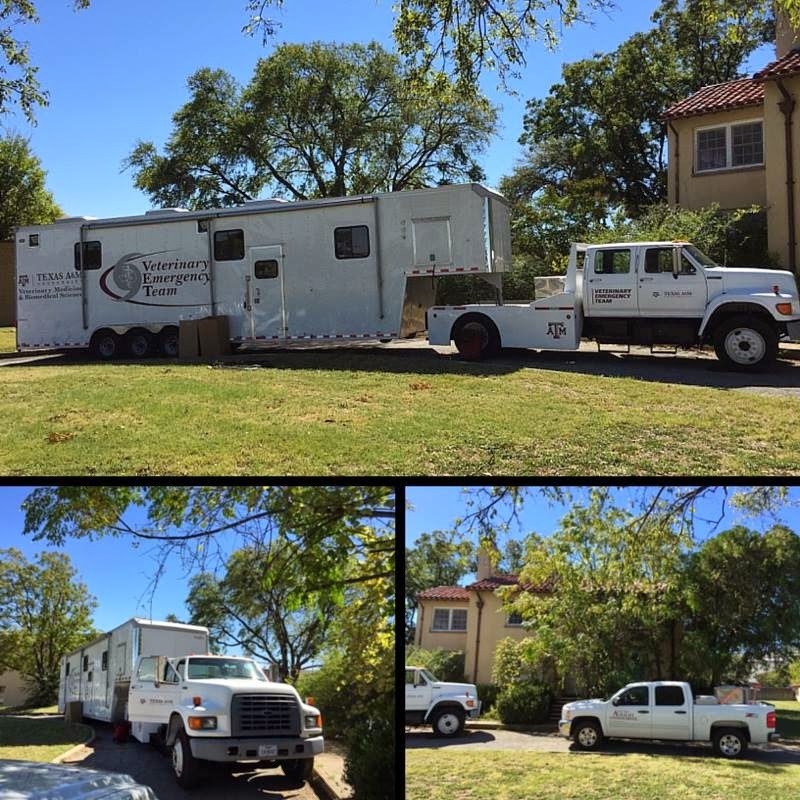 Thanks to the dedicated staff from Dallas Animal Services and some practical assistance from TEEX and TAMU VET, Bentley’s quarantine was a comprehensive, safe, and functional operation – and, most importantly, there are now procedures in place to manage future events of this nature. 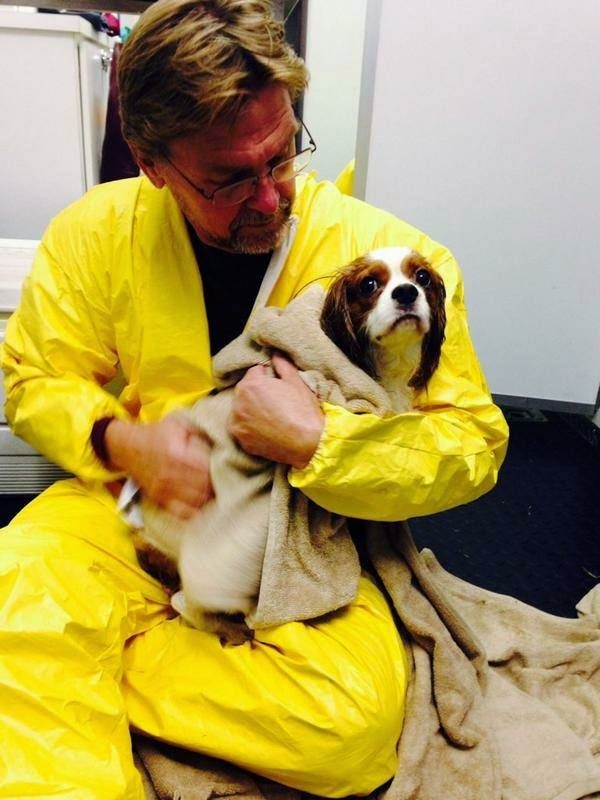 You can read more about Ebola and Pets and Bentley's stay with Drs Zoran and Bissett from TAMU VET's website. UPDATE: Nina Pham and Bentley visited College Station April 24, 2015 and thanked Dr. Zoran and Dr. Bissett of the TAMU VET team for all of their help in taking care of Bentley and making sure he stayed safe and sound. Video from KBTX Media. ~ By Lori Peace, Hazardous Materials Training Specialist for the Texas A&M Engineering Extension Service (TEEX). 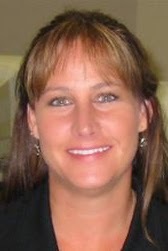 Peace also serves as Training Officer for the TX-1 Disaster Medical Assistance Team (DMAT) command staff.